We visited this park on November 22, 2016, and stayed for 14 day(s). 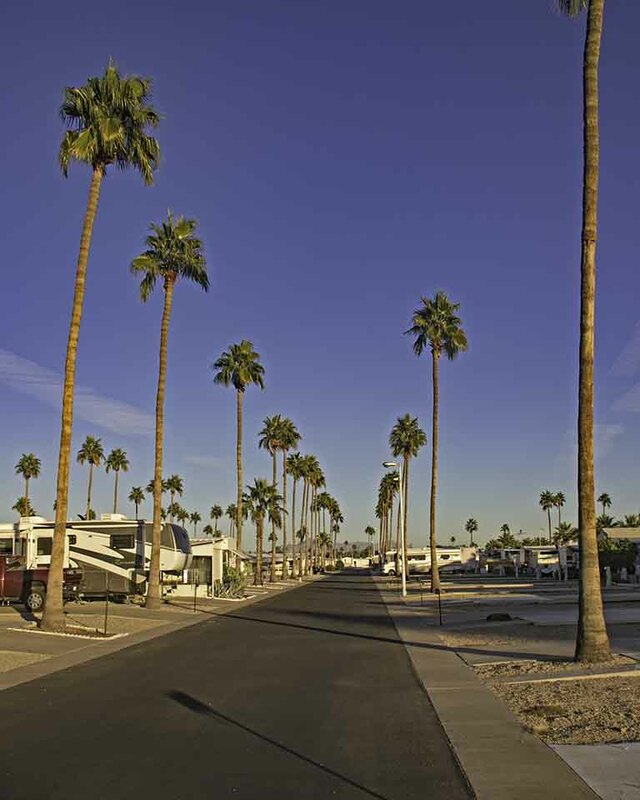 Mesa Spirit RV Resort is a large Encore membership park for the 55+ crowd. It’s pricey. We took advantage of a weekly Thousand Trails membership special for $199/week for our two week stay. It’s 1600+ sites are large and level. You park on a gravel driveway which abuts a large concrete patio and parking area for your tow vehicle. There’s tolerable road noise in some parts of the park, other parts are quiet, depending on how close you are to one of three fairly busy streets. You’ll find activities here for just about any interest, although there was a lull during our stay due to the Thanksgiving holiday. There are three pools, at least as many hot tubs, exercise facilities, multiple activity rooms, a large library, and four nicely appointed laundry rooms, complete with private areas to hang clothes to dry. There’s good grocery shopping nearby (Safeway, Krogers, Walmart, Sprouts, Trader Joes), plenty of restaurants, and it’s a short drive to natural areas to hike and/or birdwatch.